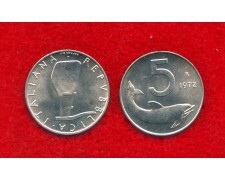 1978 ITALIA REPUBBLICA - 20 Lire bronzital (Cat. 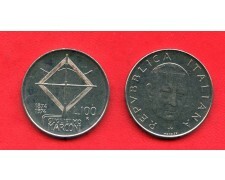 Unificato.260 - World Coins KM.97.2) splendida conservazione Fdc. 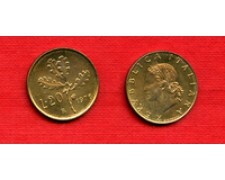 1978 ITALIAN REPUBLIC - 20 Lire bronzital (Cat. Unificato.260 - World Coins KM.97.2) beautiful conservation Fdc. 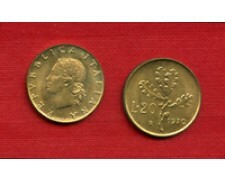 1977 ITALIA REPUBBLICA - 20 Lire bronzital (Cat. Unificato.259 - World Coins KM.97.2) splendida conservazione Fdc. 1977 ITALIAN REPUBLIC - 20 Lire bronzital (Cat. Unificato.259 - World Coins KM.97.2) beautiful conservation Fdc. 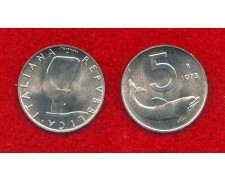 1976 ITALIA REPUBBLICA - 20 Lire bronzital (Cat. Unificato.258 - World Coins KM.97.2) splendida conservazione Fdc. 1976 ITALIAN REPUBLIC - 20 Lire bronzital (Cat. Unificato.258 - World Coins KM.97.2) beautiful conservation Fdc. 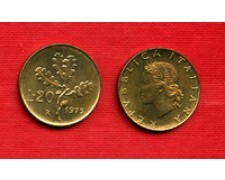 1974 ITALIA REPUBBLICA - 20 Lire bronzital (Cat. 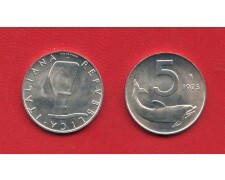 Unificato.256 - World Coins KM.97.2) splendida conservazione Fdc. 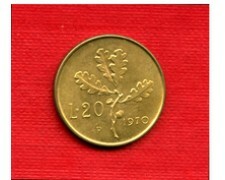 1974 ITALIAN REPUBLIC - 20 Lire bronzital (Cat. Unificato.256 - World Coins KM.97.2) beautiful conservation Fdc. 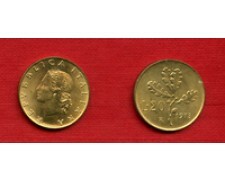 1970 ITALIA REPUBBLICA - 20 Lire bronzital (Cat. Unificato.251 - World Coins KM.97.2) splendida conservazione Fdc. 1970 ITALIAN REPUBLIC - 20 Lire bronzital (Cat. Unificato.251 - World Coins KM.97.2) beautiful conservation Fdc. 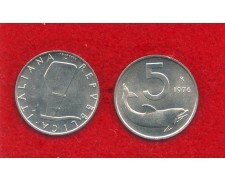 1970 ITALIA REPUBBLICA - 20 Lire ramo di quercia varieta' lettera P invece di R (Cat. Unificato.252 - World Coins KM.97.2) splendida conservazione Fdc. 1970 ITALIAN REPUBLIC - 20 Lire oak branch variety 'letter P instead of R (Cat. Unificato.252 - World Coins KM.97.2) beautiful conservation Fdc. 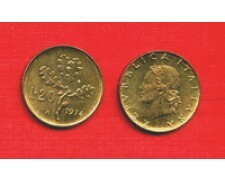 1973 ITALIA REPUBBLICA - 20 Lire bronzital (Cat. Unificato.255 - World Coins KM.97.2) splendida conservazione Fdc. 1973 ITALIAN REPUBLIC - 20 Lire bronzital (Cat. Unificato.255 - World Coins KM.97.2) beautiful conservation Fdc. 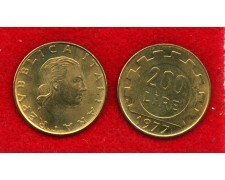 1972 ITALIA REPUBBLICA - 20 Lire bronzital (Cat. 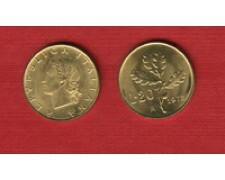 Unificato.254 - World Coins KM.97.2) splendida conservazione Fdc. 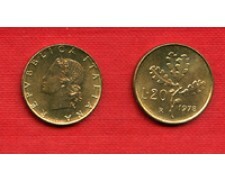 1972 ITALIAN REPUBLIC - 20 Lire bronzital (Cat. Unificato.254 - World Coins KM.97.2) beautiful conservation Fdc. 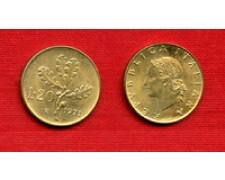 1971 ITALIA REPUBBLICA - 20 Lire bronzital (Cat. Unificato.253 - World Coins KM.97.2) splendida conservazione Fdc. 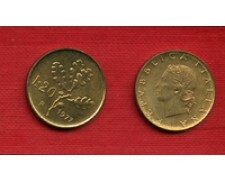 1971 ITALIAN REPUBLIC - 20 Lire bronzital (Cat. Unificato.253 - World Coins KM.97.2) beautiful conservation Fdc. 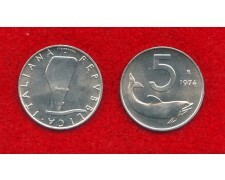 1975 ITALIA REPUBBLICA - 20 Lire bronzital (Cat. Unificato.257 - World Coins KM.97.2) splendida conservazione Fdc. 1975 ITALIAN REPUBLIC - 20 Lire bronzital (Cat. Unificato.257 - World Coins KM.97.2) beautiful conservation Unc. 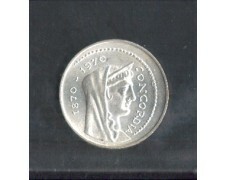 1970 - ITALIA REPUBBLICA - 1000 LIRE ARGENTO ROMA CAPITALE (MONT. 06/ KM.108) FIOR DI CONIO. 1970 - ITALIAN REPUBLIC - 1000 LIRE SILVER CAPITAL ROME (MONT. 06 / KM.108) uncirculated.